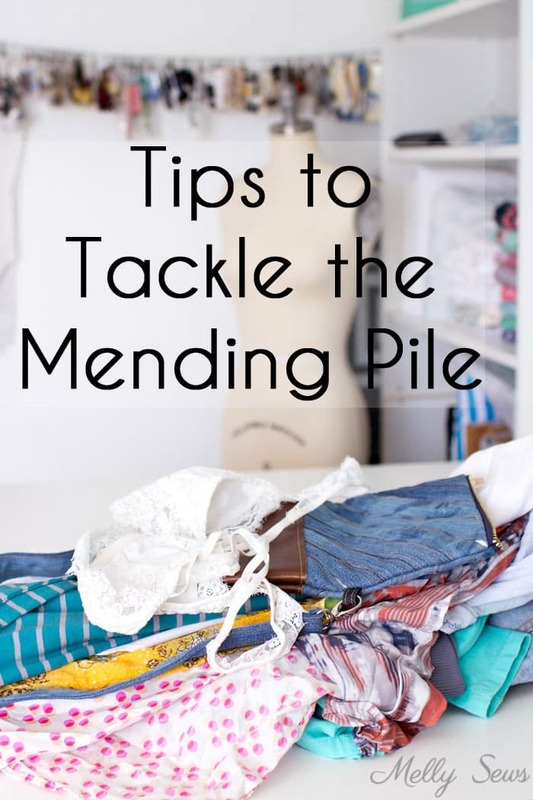 Hey y’all – since this is Mending Month on the blog, I thought it would be helpful to talk about how to mend. Not so much the sewing skills (those will come throughout the tutorials this month) but the mental and organizational skills needed to get to the bottom of that pile! 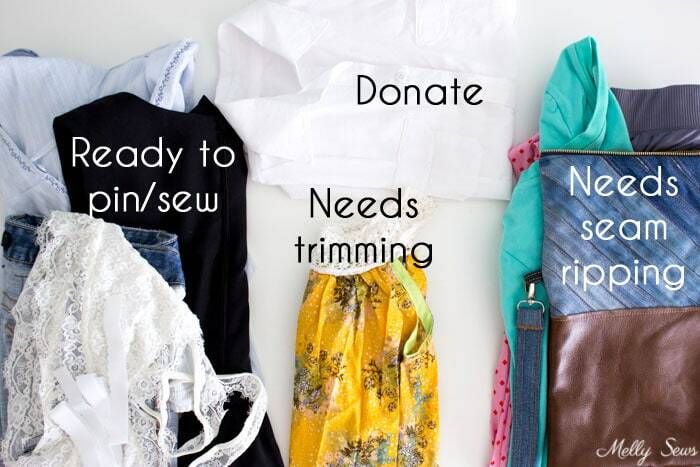 If you’re like me, mending is not your preferred type of sewing. In fact, given the choice, I pretty much always choose to make a brand new item over mending an older one. But there are some things that I just can’t bear to throw out, because 1) it’s wasteful, 2) I really liked the item before it needed to be mended, and/or 3) I know I’ll like it if I just fix one little thing. And that’s a lot of mental energy and psychic weight to have hanging over your sewing room, even if you (like me) shove that mending into some corner where you don’t see it. I just know it’s there, and every time I think, “Oh, X thing I sewed would be perfect…except it’s in the mending pile” it’s another unwelcome reminder. 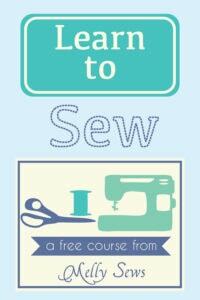 So, before I embark on any new sewing this year, I want to take time to get to the bottom of my mending pile. And I’m going to give you tips and hopefully a fun way to help you get to the bottom of yours too. Here’s my current mending pile; at the moment it’s all stuff that’s mine and not my boys’. Funny how I’ll mend their things before my own. It’s important to get it all in one place, because that way you can make sure you have it all sorted, which is the next step. 2. Examine each thing in the pile and sort according to what needs to be done to it. In sorting through my mending, I found several things that were ready for pressing and sewing (for example, I hadn’t hemmed and just stuck things in the mending pile) several things that needed seam ripping as the first step, and one that needed to be cut shorter before I could press and hem. I also had a shirt that was entirely finished, and had been stuck in the mending pile when really it needed to be in the donate pile. So that was easy enough to sort. Are you ready to sit on the couch and binge watch something? Take your seam ripping pile. Or do you just need an easy finish to motivate you to keep going? Then find the easiest project to get out of your pile. In my case, I chose the latter. This bralette needed a wider and tighter elastic band for support. I had already bought the elastic and even had it in the pile with the bralette. All I had to do was sew the new elastic to the band with a zi-zag stitch. It took me all of 10 minutes total. And then I felt silly because this had been sitting in my mending pile for literally two months, all because I didn’t just sit down and take care of it. If you really hate mending, you may have to bribe yourself to do it, but if that’s what it takes, then bribe yourself. 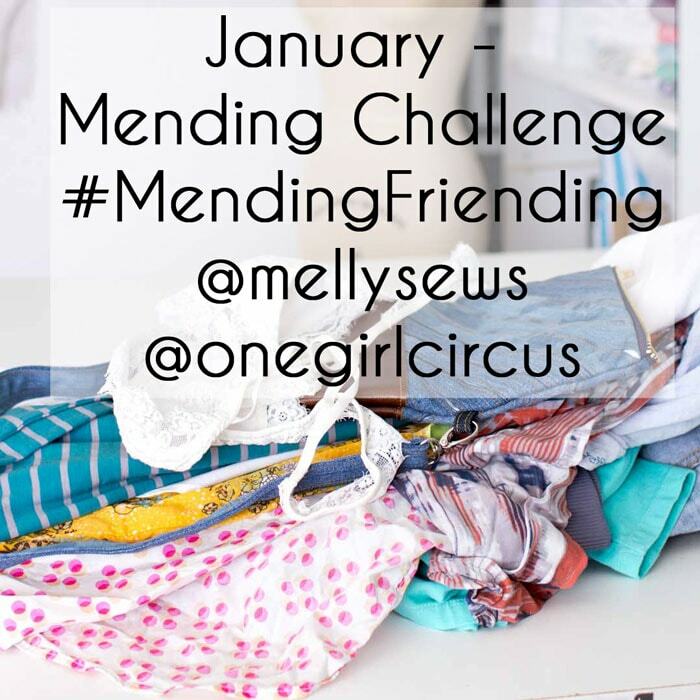 And in an effort to help make mending a little more fun, my friend Karen of One Girl Circus and I are co-hosting the #MendingFriending challenge on Instagram for the month of January. Make friends with your mending pile, make friends on Instagram so you can encourage each other to get it done, and Karen and I are throwing in a few prizes at the end of the month. So – peer pressure + external rewards for you to get that mending off your plate and then start your 2017 sewing with a clean slate! Check out all the details on this post. OMG Mel. I just did this on Tuesday. Well sorted out my fabric closet, which also included UFOs, WIPs, and things to mend. I even sat down and planned a scheduled to tackle the ones to mend every weekend for the next month or so, just to get them out of the sewing closet and into my wardrobe. 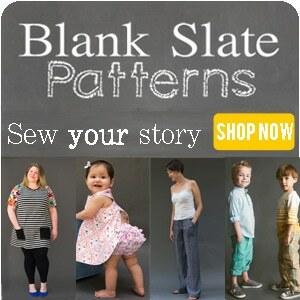 I had a friend whose daughter, when quite young, gave her the clothes that needed to be mended. Somehow, they never reappeared…until they moved. When the daughter looked in the shed, she found all her clothes that needed to be mended accumulated from over the years. I always mend the item immediately or as soon as I get home and can do it; I’ll even put a reminder on my phone. I’d rather get it done piece by piece immediately than have to face a pile of items that need mending. Years ago I made a sewing room rule, that the mending always came first. I have a tote designated for mending. Every time I am going to sew the mending gets done before I start or continue on a new project. This works great for me.